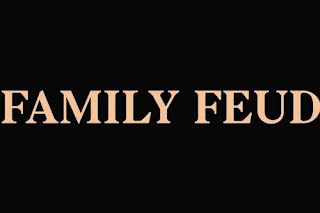 Home / -News- / Jay-Z / The Head of the Catholic League Criticizes Jay-Z's Video For "Family Feud"
The Head of the Catholic League Criticizes Jay-Z's Video For "Family Feud"
A leading official at the Catholic League has slammed Jay-Z's new Family Feud video, calling the promo "gratuitous" and "exploitative". The star-studded film was released exclusively on the 99 Problems hitmaker's streaming service Tidal on Friday (December 29) and in the footage, he is seen walking into a church, hand-in-hand with his daughter Blue Ivy. His wife Beyonce, actor Michael B. Jordan, Thandie Newton, and Jessica Chastain also feature in the video, directed by Oscar-nominated filmmaker Ava DuVernay. Fans may be raving about the promo, but Catholic League president Bill Donohue is far from happy - he didn't even like the video's 30-second teaser that was released before the full clip. "A video trailer is supposed to be a teaser, but in this case it falls flat, leading nowhere," his statement reads. "Jay-Z's recently released Family Feud video shows him walking into a Catholic church with his real-life daughter, rapping away - 'Nobody wins when the family feuds' - as he struts. This is followed by a flashback scene where he is shown kissing a gal in her undergarments. "Then Beyonce appears, standing at the pulpit, wearing a navy blue outfit, dressed like a queen. She is a priestess: she hears Jay-Z's confession, apparently a statement on his real-life infidelities." "Is it anti-Catholic? No, it is not a bigoted assault," the statement continues. "Indeed, it pales next to Jay-Z's relentlessly racist (and anti-black) lyrics. But it is nonetheless gratuitous as well as exploitative, just the kind of thing we would expect from this genius couple." Jay-Z has yet to respond to Donohue's statement. Meanwhile, in the song, Jay-Z references his wife's infamous line from her song Sorry, in which she sings, "He only want me when I'm not there/He better call Becky with the good hair." The lyric fueled speculation about infidelity in the superstars' marriage and in Jay-Z's track, he alludes to some of their issues. "Yeah, I'll f**k up a good thing if you let me/Let me alone, Becky/A man that don't take care his family can't be rich," he raps.